B is for Build continues working on the Datsun 240Z project. 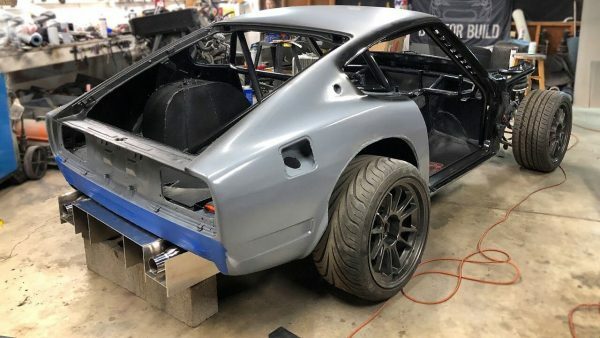 The goal of the project is install a 5.0 L S85 V10 and SMG transmission from a 2007 BMW M5 on a custom chassis under the 240Z body. In these videos Chris mounts all the body panels and finishes metal work on the floor, firewall, and trunk. Then the car gets prepped and painted before making a custom front splitter and rear diffuser.